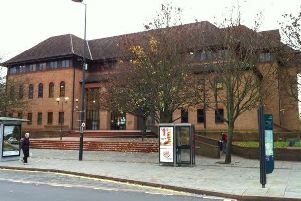 A man who attacked his wife after a night-out claimed they had both had their drinks spiked. Chesterfield magistrates’ court heard last Thursday, May 10, how Alan Pilmore, 56, of Wharf Road, Pinxton, had been to the Pinxton Miners Welfare with his wife before the attack took place at their home. The court heard how the complainant suffered a split lip, a mark above her left eye, bruising around her neck, upper arms, shoulders and to her left arm. Her elbow, chest and lower back, and her hands were also bruised, according to Ms Haslam. The complainant told her daughter Pilmore had pulled her from one side of the house to another and he had been trying to push her out of the house. However, she told police she did not want to pursue a prosecution. Pilmore told police he had about five or six pints but he could not account for his wife’s injuries and he blamed the incident on having his drink spiked. The defendant pleaded guilty to assault by beating after the incident on January 29. John Last, defending, said Pilmore thought it was unusual he and his wife had felt so drunk and he believed their drinks had been spiked. Magistrates sentenced Pilmore to a 12-month community order with 100 hours’ unpaid work. He must pay £85 costs and an £85 victim surcharge.